Big Purr Music, LLC is an independent music publishing company and record label located in Denver, Colorado. 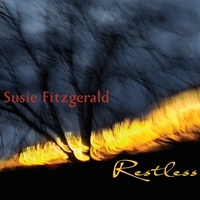 Susie Fitzgerald’s second album, Restless, released in February 2015, travels across the American musical landscape from rootsy acoustic Folk and Alt-Country to vintage Rock riffs with a bit of jazzy Swing measured into the vibe. Restless takes the listener on a lyrical road trip, exploring relationships of all kinds along the way. Lovers, friends, enemies, “frienemies,” and The Self are regarded from the artist’s seasoned point of view—grown-up, wised-up, a little sassy, razor-sharp yet soft-hearted, and always, eternally hopeful. Visit Susie Fitzgerald's web site for more information and to listen to music from her new album. Contact Big Purr Music for details about licensing opportunities.